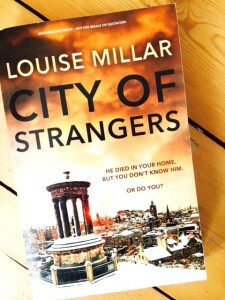 This Euro-thriller by Louise Millar – apparently a new direction from a writer who I hadn’t previously encountered – is quite a difficult book to review. On the one hand it kept me reading while my bathwater went cold and late into the night, but on the other hand I twitched with irritation at a couple of elements. Let’s start with the good bits. The premise, that Grace Scott returns from her honeymoon to find a dead man on her kitchen floor, is striking, as is the fact that his identity is a mystery. When Grace finds an odd note that must have been written by the deceased: “I am not that man Lucian Grabole” she has the first clue to his identity that anyone’s turned up. Unlike most of us who’d Google and look on Facebook and then give up, Grace is a photo-journalist (who knew that was even a thing these days?) 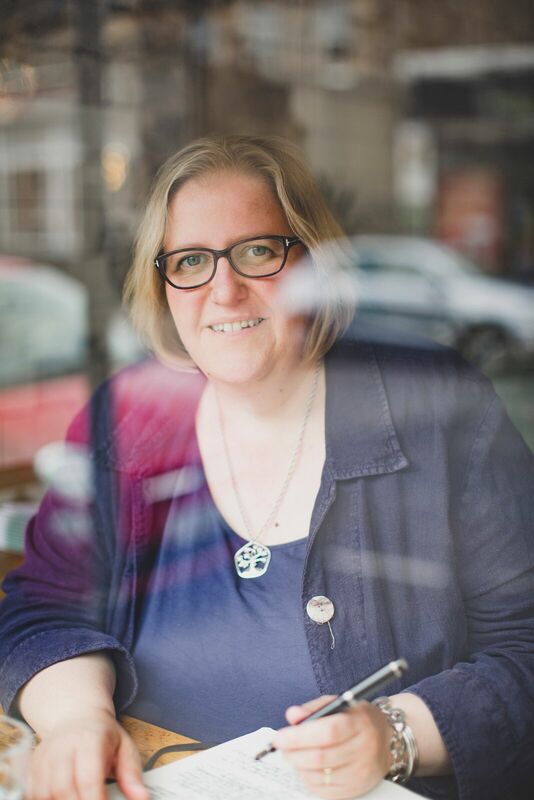 and has some handy media contacts, sets out to follow a lead which takes her to London, Amsterdam, Paris, fleetingly to Copenhagen and then back to Edinburgh by way of a detour back to Amsterdam to hook up with Nicu, the rock star of photo-journalism who’s been helping her out. I won’t summarise any more of the plot for fear of giving anything away – I don’t think geographical info will hurt. The plot is strong and the sub-plot concerning a dead tourist and a dead drug dealer which felt completely separate all the way through, ties in nicely at the end. I liked the pace that Louise Millar cracks along at, although the denouement did feel a little rushed. As I said, it was gripping enough to keep me reading late at night and in a house littered with books that were abandoned after the first hundred pages or so, that’s a good sign. The less good aspects are that Millar’s writing is a little flowery at times – there’s a reference to how Grace’s husband’s “blue eyes, pink-rimmed with jetlag, popped comically against his tan” and a few others that make me twitch. But her writing is compelling enough to overcome this and the plot whisks past briskly. My biggest problem is that the book is marketed as being set in Edinburgh although probably only around a third of the action actually takes place here. The cover image is of the city taken from the top of Calton Hill and the back cover of the proof gushes that it is “a wonderfully evoked Edinburgh setting bringing to life its beauty – and its danger”. That’s really not the case and when compounded by the fact that the locations – with the exception of a mention for the Scott Monument – are all fictitious and in unspecified and unidentifiable neighbourhoods and this mismatch between the invented and the real is that it jolts me out of the narrative, especially when it’s unnecessary. Those relatively minor grumbles aside (and I know that the vast majority of readers will neither notice nor care about the geographical issues), this is a great read and should keep plenty of people entertained over the next few months. I’ll also read more of her work when I’ve made more inroads into the TBR pile – The Hidden Girl looks very interesting. 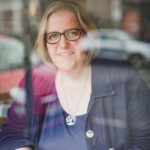 This entry was posted in Shelf Notes and tagged crime fiction, Louise Millar, review, Scottish crime. Bookmark the permalink.